A recent New York Times article about the online retail giant Amazon attributed the corporate behemoth’s success to its legion of motivated employees: “company veterans often say the genius of Amazon is the way it drives them to drive themselves.” The article suggests, however, that underpinning Amazon’s ‘genius’ is a workplace culture where long hours and cut-throat evaluations put staff under intolerable pressure, and may even result in nervous breakdowns. Its employees have garnered the nickname ‘Amabots’, suggesting a kinship with Amazon’s infrastructure of computer algorithms and warehouse robots. ‘Amabots’, it seems, have internalized corporate values to the point of psychological distress. This article on Amazon, and the flurry of comments and follow-up articles it engendered, is one recent iteration of longstanding anxieties about the effects of corporations on individuals. Charlie Chaplin’s 1936 film Modern Times, for example, depicted workers as cogs in the machine, highlighting anxieties about automated labour’s effect on the individual. 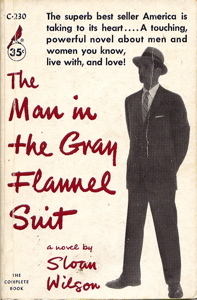 In the 1950s social critics worried about “organization men” and men in “gray flannel suits” whose individuality was subsumed by bureaucratic conformity . Now a concern about ‘motivation’ stalks contemporary discussions of individuals within organizations, manifested in anxieties both about the overly-motivated self who becomes an ‘Amabot’, or the passive worker who must be taught to access his unconscious drives and thus his drive to succeed. What this article evoked for me was a long history of concern with the relationship between employees’ psychological states and the success of the company, or even the economy, as a whole. Focusing on motivation raises questions about the role of psychological expertise in shaping our understanding of the self in corporate culture; and how the line between motivation and manipulation has been negotiated and challenged in the last fifty years. My dissertation research addresses these questions, focusing on the history of psychological techniques in late twentieth-century American businesses. Historians of psychology have traced the rise of psychological expertise in Cold War America, showing how psychologists framed a whole host of social concerns, from class relations to workplace morale, as psychological problems. Their accounts examine the ways that psychologists have been caught up in structures of power, particularly government and military contracts during the Cold War . Many post-war psychologists turned to corporate America to market their expertise, following in a long line of business-oriented applied psychologists, starting with Hugo Munsterberg in the early twentieth century . Focusing on motivation raises questions about the role of psychological expertise in shaping our understanding of the self in corporate culture; and how the line between motivation and manipulation has been negotiated and challenged in the last fifty years. Two figures are especially revealing of the way that Cold War psychologists claimed expertise by moving from laboratories to boardrooms: Ernest Dichter and David McClelland. In the 1960s and ’70s, these hybrid psychologists and management consultants ran motivation training seminars targeting the executives of corporate America. Dichter and McClelland were both influential figures at the intersection of psychology and business; examining their work in parallel provides insight into the business of motivational psychology in postwar America. Both saw the psychology of ‘motivation’ as a master framework to understand a range of problems, and both grappled with allegations of ‘brainwashing’ during their careers. An analysis of the controversies surrounding their work can shed light on a key moment in the history of public concerns with the kinds of motivational and manipulative techniques that linger on today in the discussion of Amazon’s corporate culture. 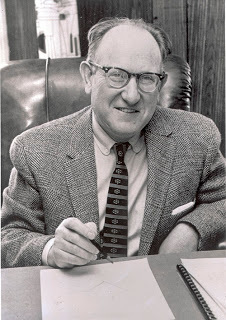 Ernest Dichter (1907-1991) is best known as a marketing researcher who pioneered ‘motivational research’, an approach to consumer marketing that sought to understand and to cultivate the unconscious, irrational nature of consumer drives. Dichter’s view of motivation was shaped by certain formative environments: he was first trained in psychoanalysis by Karl and Charlotte Buhler in his native Vienna, before leaving for America to work in market research alongside Paul Lazarsfeld . Dichter developed a series of techniques, including the focus group and the depth interview, to provide insight into the subconscious motives of consumers in order to market goods. For readers of this blog, Dichter is perhaps already familiar as a subject of Vance Packard’s critique in Hidden Persuaders, the 1957 expose of marketing strategies that targeted consumer’s unconscious desires. Famously, Packard saw Dichter’s attempts to cultivate consumer desire through such techniques as a form of brainwashing, with obvious deleterious effects on the freedom of the subject. Less well studied, but no less interesting, is Dichter’s later, less well-known work on management training. In the late 1960s and ’70s, his consulting firm applied the same principles and the same psychoanalytically-informed understanding of motivation, which it had honed during years of marketing research, to motivate the managers of corporate America. The firm ran a series of ‘Top Man’ motivational seminars and published a range of pamphlets, called “Manager/Motivator”. As the title suggests, Dichter framed the job of managing other people as essentially a job of motivating people to work. According to Dichter, the ability to motivate others began with the ability to motivate the self and entailed a series of techniques, including self-aimed quizzes, a ‘mood barometer,’ and a ‘psychological calendar,’ to monitor one’s thoughts, feelings, and moods. These ‘technologies of the self’— practices by which individuals are enjoined to know and monitor the self—were an integral part of motivation training. According to Dichter’s seminar notes, the key characteristic of a successful business executive is the desire consistently to set high goals, which result in a high ‘motivational differential’. The latter was his term for the difference between one’s present state in life and one’s desired state . For Dichter, then, executives were driven to action by setting high goals; and maintaining this high motivational differential was supposed to result in success for the top manager, harder work by their staff, and productivity for the company. Dichter’s view of top managers as relentlessly driven by setting high goals is echoed much more recently by Amazon executive Elisabeth Rommel: what motivates Amazonians to work so hard, Rommel explains, is the very experience of being pushed to—and beyond—their limits, spurred by the knowledge that “we haven’t scratched the surface of what’s out there to invent.” Amazon’s corporate culture, no less than Dichter’s motivation seminars, insists upon the importance of ever greater self-motivation as the route to self-improvement. While management consultants were cultivating employee motivation, social critics worried about the troubling effects of corporations on the individual. 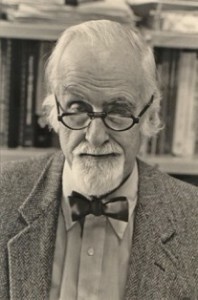 Ernest Dichter may have avoided further public accusations of brainwashing by turning his expertise to management training, but his contemporary David McClelland (1917-1998) encountered criticism that he was ‘brainwashing’ individuals, and the concept in fact influenced his own approach to motivational psychology. David McClelland was an influential motivational psychologist best known for his adaptation of the Thematic Apperception Test, a psychological test that requires participants to provide narratives for ambiguous line drawings. He used it widely as a way to uncover—and cultivate—the fundamental motives for achievement and power that he saw as crucial to individuals’ success. He worked in both academia, as a professor at Harvard’s interdisciplinary Department of Social Relations, and in business. In 1963, McClelland founded a human resources consulting firm, McBer & Company, which began running a series of motivation training courses intended to cultivate fundamental motives crucial to business success—namely, the ‘power motive’, or the drive to influence others. One of McClelland’s career-long goals was to rehabilitate the “positive face” of power, as a positive rather than coercive form of influence over others. Modern life, McClelland argued, particularly corporate life, required the exercise of influence over others; in fact, that was the definition of management. In a 1976 Harvard Business Review article, tellingly titled “Power is the Great Motivator,” McClelland defined the essential trait of the good leader as the drive to have influence over others, which did not entail an authoritarian, domineering wielding of power, but an authority relationship that cultivated subordinates’ own sense of initiative and responsibility. A good manager should be a motivator. But as McClelland tried to argue, the attempt to motivate people was not an attempt to manipulate people, or coerce them against their will, because the kind of change such seminars and techniques were to bring about required the active participation of the individual . Furthermore, the attempts at change were supposed to be for the benefit of the participant, helping them become more successful. Cultivating the achievement or power motive in people required their active participation: they signed up for seminars, participated in self-reflection exercises, and implemented the techniques of motivation in their own lives. Becoming a self-motivated person was not something that could be imposed by a psychologist or consultant, it was said, but needed to come from within. Crucially, for Dichter and McClelland, their psychoanalytic approach led them to treat human motives, whether of managers or of consumers, as largely unconscious and irrational. Below the threshold of consciousness, motives lay hidden, inaccessible even to ourselves—unless one had the right techniques. Dichter’s and McCelland’s seminars positioned the job of the top executive as motivating others, which required them to become aware of their own subconscious motives. The manager, then, was portrayed as a psychologist of sorts, whose job was to uncover—perhaps manipulate—the motives of their subordinates. The psychologist motivates the manager, to motivate herself, to motivate her employees. Motivation, as these seminars conceived of it, could move among bodies in a chain-like reaction. In this cascade, ‘management’ could seem less like an exercise of authority, and more an exercise in self-help: training seminars were supposed to produce self-awareness and happiness, as well as productivity, in their subjects. What seems clear is the degree to which we have internalized values of motivation, and the conjoining of motivation and productivity. The history of psychological interest in ‘motivation’ at work raises a series of unsettling questions about the nature of corporate selfhood. To what extent do workers internalize corporate values, and should we be concerned? When does a work ethic become psychologically harmful? What is the line between motivation and manipulation? Are ‘Amabots’ who have internalized corporate values of productivity being manipulated, or are they the exemplars of a properly motivated workforce? Admittedly, this brief discussion has only scratched the surface of what is at stake in terms of workers’ subjectivities. What seems clear is the degree to which we have internalized values of motivation, and the conjoining of motivation and productivity. This becomes apparent with every self-help book that advertises tricks to motivate yourself—books that are available for purchase on Amazon—and with every article on the motivational culture of corporate giants. Kira Lussier is a PhD Candidate at the Institute for the History and Philosophy of Science and Technology at the University of Toronto. Her PhD thesis traces the history of personality testing in corporate America in the second half of the twentieth century. Kira’s broader research interests lie at the intersection of science and technology studies, and histories of psychology, capitalism, business, and the self. William Whyte, The Organization Man (Simon and Schuster 1956); Sloan Wilson, The Man in the Gray Flannel Suit (Da Capo Press 1955). See, for example, Jamie Cohen-Cole, The Open Mind: Cold War Politics and the Sciences of Human Nature (University of Chicago Press 2014); Ellen Herman, The Romance of American Psychology: Political Culture in the Age of Experts (University of California Press 1995); Nikolas Rose, Inventing our Selves: Psychology, Power and Personhood (Cambridge University Press 1996); Joy Rohde, Armed with Expertise: The Militarization of American Social Science Research during the Cold War (Cornell University Press 2013); Mark Solovey and Hamilton Cravens, eds., Cold War Social Sciences: Knowledge Production, Liberal Democracy and Human Nature (Palgrave MacMillan 2012). Michael Pettit, The Science of Deception: Psychology and Commerce in America (University of Chicago Press 2013); Lawrence Samuel, Freud on Madison Avenue: Motivation Research and Subliminal Advertising in America (University of Pennsylvania Press 2010). Stefan Schwarzkopf and Rainer Gries, eds., Ernest Dichter and Motivation Research: New Perspectives on the Making of Post-War Consumer Culture (Palgrave MacMillan 2010); Daniel Horowitz, The Anxieties of Affluence: Critiques of American Consumer Culture, 1939-1979 (University of Massachusetts Press 2004). David McClelland, Power: The Inner Experience (John Wiley & Sons 1975). McClelland, “Managing Motivation to Expand Human Freedom,” American Psychologist (March 1978): 201-210.